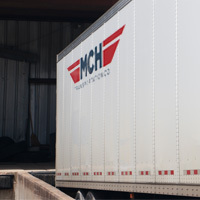 MCH Transportation is a trucking company driven by quality. Our drivers are clearly a cut above the rest. We are proud to be based out of Jackson, Mississippi. Our customers feel confident that their products will be delivered safely, promptly and professionally because of our track record, commitment to delivery and our customized systems. MCH cares about its employees and fosters a working atmosphere modeled on the principles of teamwork and community. We’re always interested in discussing employment opportunities with qualified drivers. If you’re a Truck Driver with a Class A CDL and at least one (1) year experience, please complete our online driver application form. For over 30 years, MCH Transportation Co. has provided “Dedicated Service” to a long list of companies, many of which are Fortune 500 companies. MCH is dedicated to safety and has been independently recognized by BP Lubricants USA, Inc. and Inland Paperboard and Packaging. We offer a custom-designed system tailored to moving customer products and eliminating administrative and driver problems. MCH covers the state of Mississippi! 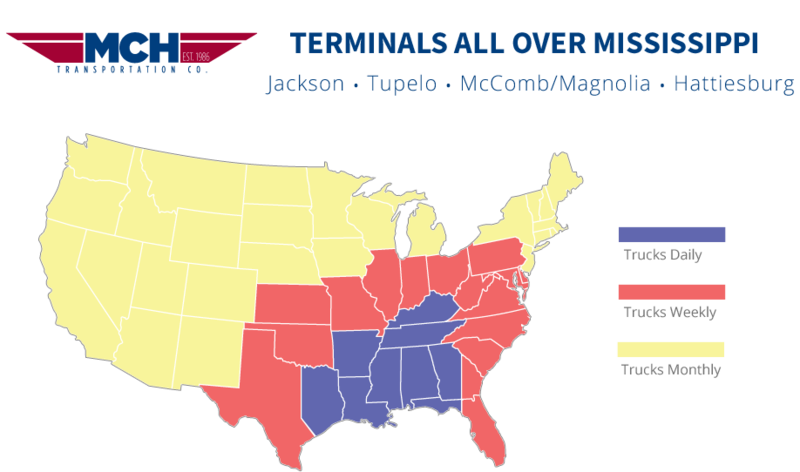 We have terminals in Jackson; Hattiesburg; McComb; and Tupelo. 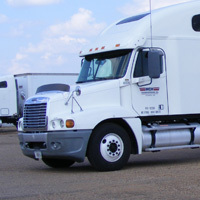 We are the premier carrier throughout MS.
WANT TO DRIVE FOR MCH? MCH has always been determined to become a specialized carrier and Mississippi based trucking fleet focused on “Dedicated Services” for a national client base. 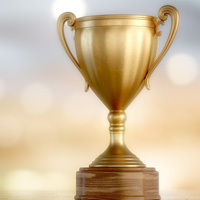 Our mission is to set the standard of performance by which all other carriers are measured. 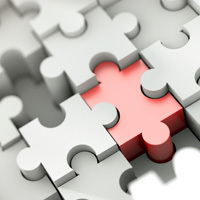 For single and multiple shipments for our customers, we put all of our experience and expertise to work. Our operations, our fleet, and our team help expedite and secure the deliveries of our clients’ goods. Interested in working for MCH? Copyright © 2017 MCH Transportation. Website Design by ThinkWebstore.